Weather and road conditions will likely stop the Everett transport and/or a crane from moving WEST on Highway 12 tonight. Barely under the 16-foot-width limitations for Highway 12 megaloads established by the Forest Service, one or more singular shipments could regretfully move sometime this week or on Saturday, February 8, as originally projected. Friends of the Clearwater, Idaho Rivers United, and Wild Idaho Rising Tide (WIRT) are communicating with the Idaho Transportation Department, to obtain more information. 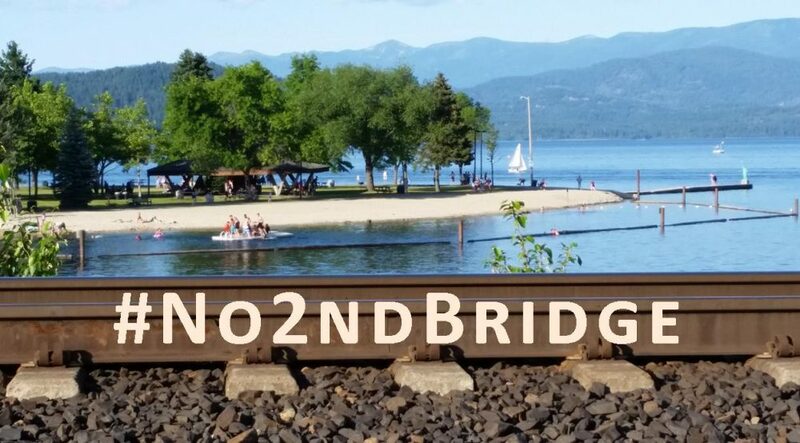 WIRT is working with allies to convince federal agencies to not allow the proposed three Mammoet 1.6-million-pound loads to travel on Highway 95 and Coeur d’Alene Lake Drive. WIRT shares deep respect and sadness with our valiant anti-tar sands comrades. On Friday, January 31, after a four-day trial of three brave and peaceful female activists, a jury found them guilty of misdemeanor trespassing and felony resisting/obstructing an officer. Judge Collette’s disdain for the defendants and their supporters refused to allow expert witnesses and documentation and revoked their bond. The increased police presence in the courtroom on Friday immediately took all three women into custody until their March 5 sentencing of possibly years in jail. Their acts of love, protection, and courage do not deserve such harsh treatment and felony charges. Vickie became a great grandmother last week, and Lisa expects a new grandchild this week. Visit the MI CATS website and facebook pages to find ways to share strength and solidarity with them. Please send to them handwritten, 4-by-6-inch postcards/index cards without images, mailed to the Ingham County Jail, 640 N. Cedar Street, Mason, MI 48854. Continent-wide resistance to tar sands, fossil fuels, and unfair corporations and “justice systems” will continue to grow! Leonard Higgins, one of WIRT’s three heroes who locked down or sat down to block Port of Umatilla megaloads on December 1 and 2, along with Jim Powers and colleagues of Act On Climate: Stop the Megaloads, has alerted us that they need hundreds of letters soon to support the Oregon anti-megaload court case! The Oregon Department of Transportation (ODOT) has rejected the notion that members of the public, other than the company that applies for a megaload permit, can have “standing” regarding that permit process. When they, as members of the public, asked ODOT to listen to their opinions that issuing permits for megaloads is NOT in the public interest, the department said that, because they have no “standing,” it did not have to consider their opinions. ODOT claims that any permit they choose to issue IS in the public interest and that ODOT is the court of last resort. Our Oregon comrades disagree and assert that ODOT must have a public process and listen to the public BEFORE they determine whether megaload permits are in the public interest. In order to move ODOT in this direction, they will be filing a case in court, asking a judge to rule on this issue. In the meantime, they also need hundreds of Oregonians to write to Governor Kitzhaber, ODOT, and state senators and representatives, asking them to pressure ODOT with the same arguments. This entry was posted in Alerts, Climate Justice Forum by WIRT. Bookmark the permalink.